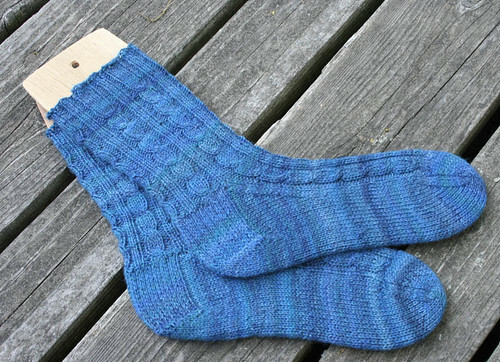 You’ve been seeing a lot of Virginia’s socks recently, and this post is no exception. 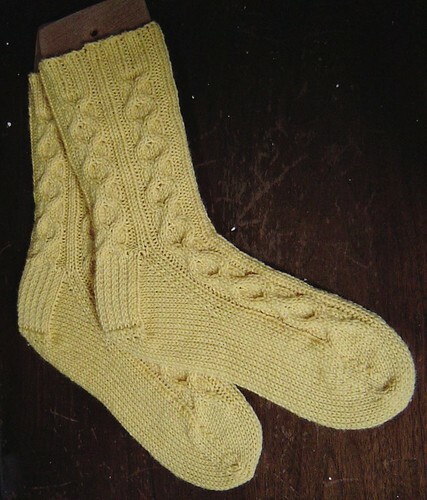 With a couple of weeks having gone by since the last post, there has been some major accomplishments, both with knitting and household projects. 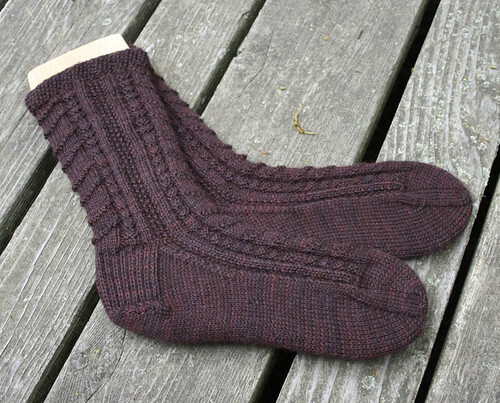 The above are Lisa Lloyd’s Narragansett Bay Socks, knit using Mountain Colors. 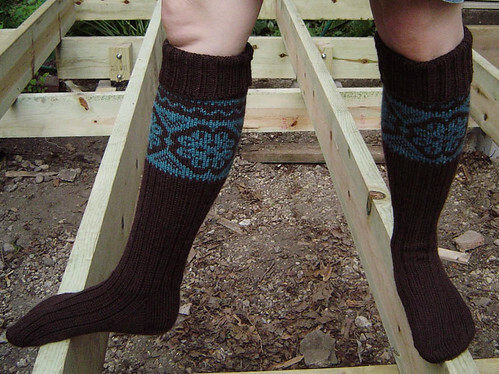 These are knit with Trekking. And, these are made with Meilenweit. With a final push to get these done, Virginia finished these just a couple of days ago. 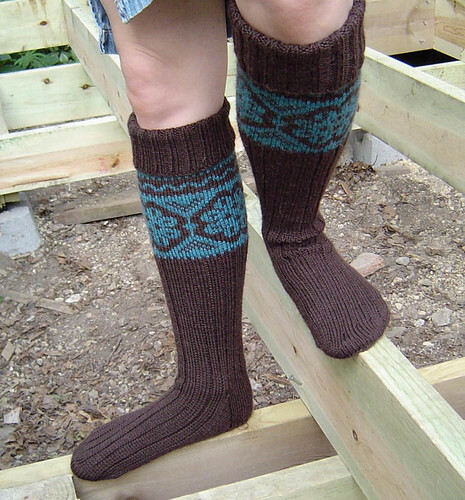 They are from a Dale of Norway sock pamphlet (NR-8001), knit using Smart yarn. You might be noticing the structure that Virginia is carefully balancing on. That is where I come in to the picture. Lest you think I’ve given up on crafty pursuits, I haven’t. Currently, though, my free time has been consumed with replacing our deck. I’m happy to say (after taking Thursday off of work, and pretty much working through the entire weekend) we’ll have a brand new, sturdy (that’s the key word) deck for the next photo shoot (in other words, probably by next weekend). 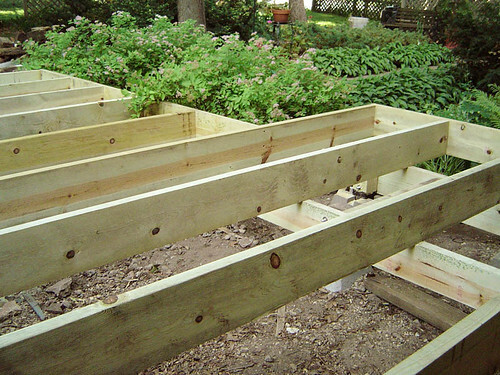 Nice deck framing! Yes, the household projects, they never stop. And V, you continue to be a sock machine. I’m in awe!